Leaders from churches and charitable groups were asked to provide a wide range of services to former inmates, including employment assistance, housing, clothing, health care and cash.... "If we can motivate the faith-based community in the state the way we do during an emergency, then we can make a difference," Riley said.. Bill Johnson, director of the Alabama Department of Economic and Community Affairs, said the state releases 11,000 inmates a year and isn't capable of providing the services necessary to help them readjust. Even if the state had the funds, such programs aren't popular with taxpayers, he said. The state will provide no direct funds to the program, called the Community Partnership for Recovery and Re-entry, but will coordinate the efforts of the churches and other volunteer groups. "We're admitting we can't solve the problem," Johnson said. At a meeting that vacillated between policy seminar and revival, state officials outlined their needs to religious leaders, who said they view the program as an opportunity to spread the word of God. I suppose the state should be commended for recognizing, at the very least, that such transition programs are essential. But outsourcing them to churches is at best a band-aid. And here (unlike in the national Faith Based Initiative conversation), religious leaders are quite explicit that their interest in these programs is tied to an opportunity to evangelize. As unpopular as these programs may be, policy makers must recognize that the cost of (effective and non-criminogenic) incarceration includes pricey re-entry assistance. Without it, the state will have to bear the expense of sky-high recidivism rates. In my view, if you can't afford re-entry, you can't afford prisons. The incarceration conversation tends to occur as if the dynamics that lead people into, out of, and back into prison occur singularly or in a vacuum. Decades of research on human behavior clearly show that the adult prison system is the "safety net" for those who are failed by the big 5 human service systems: education, child welfare, mental health, juvenile justice, and religion. Therefore, it is no surprise that policy makers are not jumping wallets first into the business of diverting individuals from prison through any sort of prevention programming - prisoner re-entry policies notwithstanding. 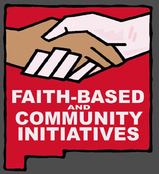 However, policy makers should be very cautious about their expectation that the faith community can help prisoners re-enter their communities when the church was unable to adequately serve the prisoners before they left the communities. The cure for what ails re-entering prisoners is available in the research on human behavior - if you can read it. The good news is that I have taken the first steps in translating that research into everyday language for everyday people. Take a look at www.5uglyfacts.com. Literature is a kind of intellectual light which, like the light of the sun , may sometimes enable us to see what we do not like.